The Dystopian Reader is a guerilla project by Rosie Schinners to inject art into unusual places. As she reads a work of dystopian fiction, Schinners makes a bookmark for each chapter. She then hides the bookmark in a copy of the text she finds in a library, a used bookstore, or a large bookstore chain. 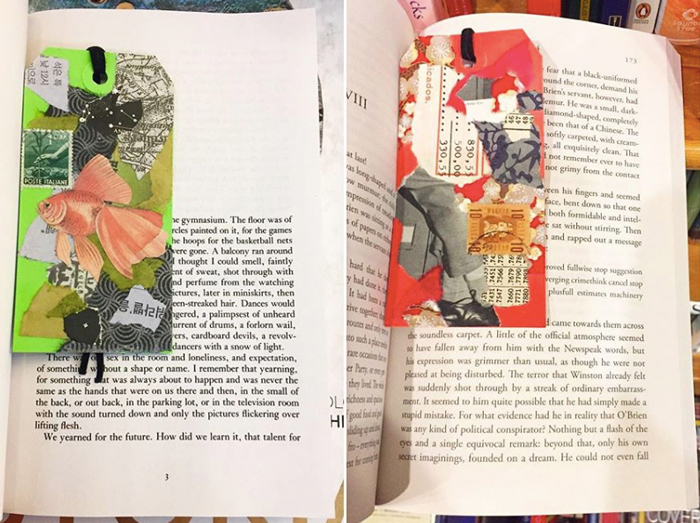 Each bookmark is documented and geo-tagged on Instagram through The Dystopian Reader feed for anyone to locate. Past titles have included The Handmaid’s Tale by Margaret Atwood and 1984 by George Orwell. This particular contemporary art operation was inspired by Christian Nicolay’s series, “The Day Job”, in which the artists hides messages and texts in unusual places such as on the back side of hotel art. Nicolay writes, “What started out as a day job has now become part of my routine injecting the unusual into the familiar, hiding art in hard to find places. 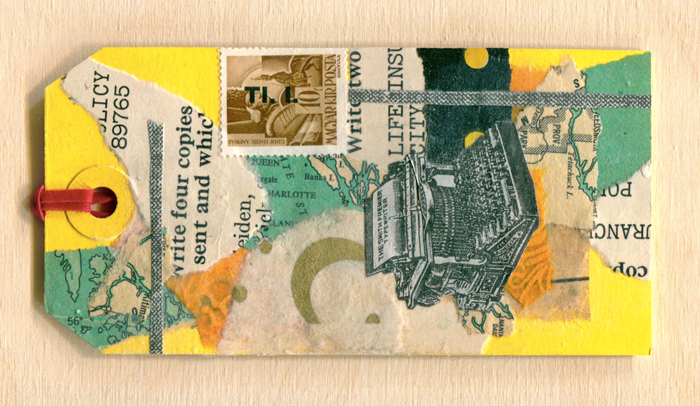 To notice the unnoticeable, to look where no one does, like a quasi-archeological expedition of absurdity and truth, quixotic adventures of surprise and play.” Through The Dystopian Reader, Schinners aims to share original collage art and to bring joy and levity in our current dystopian climate. While The Dystopian Reader is largely based in Vancouver, British Columbia, the bookmarks currently exist in Mexico City and in various places around Costa Rica. She intends to continue the series indefinitely, through various books of dystopian fiction, hiding and sharing collage art worldwide. 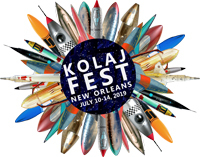 Schinners will bring The Dystopian Reader to Kolaj Fest New Orleans. The work Schinners makes for The Dystopian Reader project is different than her fine art work. 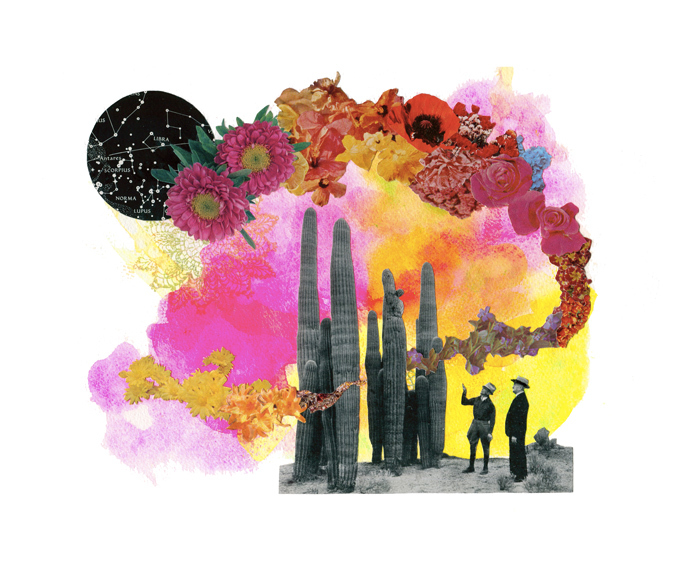 Working primarily with vintage print material, Schinners combines hand-cut collage with vibrant splashes of colour to bring new life to old images. She looks to explore fleeting moments of alchemy, anxiety and the human condition. One particular definition of alchemy is “a seemingly magical process of transformation, creation, or combination”. This alchemy can also be thought of as the invisible energies that surround us, things we cannot see which can make us feel connected or disconnected to the people and places we interact with. She attempts to make that unseen energy visible, whether as magical blooms of flowers, crowds of connected people, or bursts of raw colour. 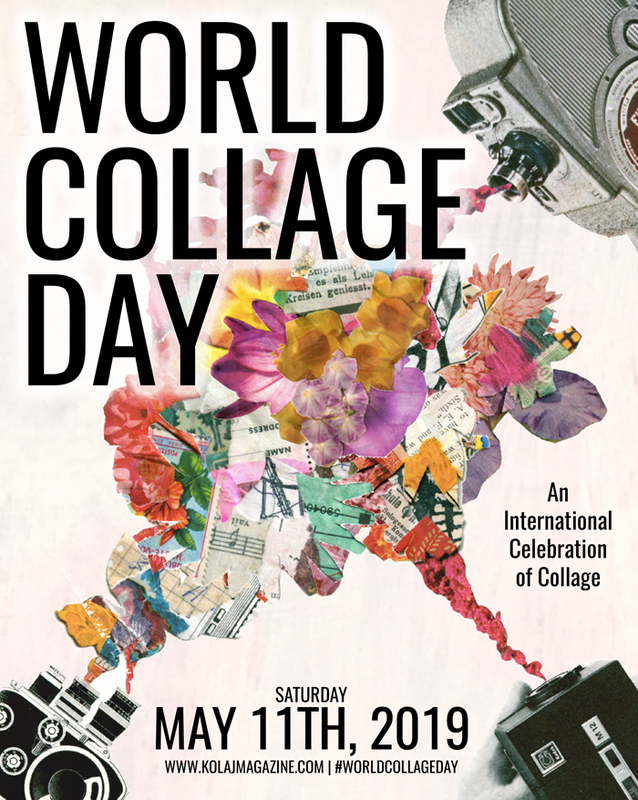 Rosie Schinners is a collage artist who lives and works in Vancouver, British Columbia. She holds a BA from the University of Guelph as well as a BFA from NSCAD University. Since childhood, she has been cutting, pasting, and leaving trails of scrap paper around the house. 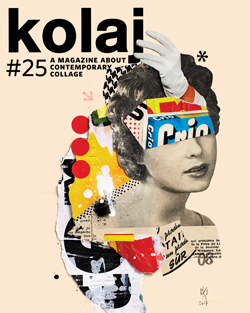 Working primarily with vintage print material, she combines hand-cut collage with vibrant splashes of colour to bring new life to old images. Her work typically looks to explore fleeting moments of alchemy, anxiety and the human condition. 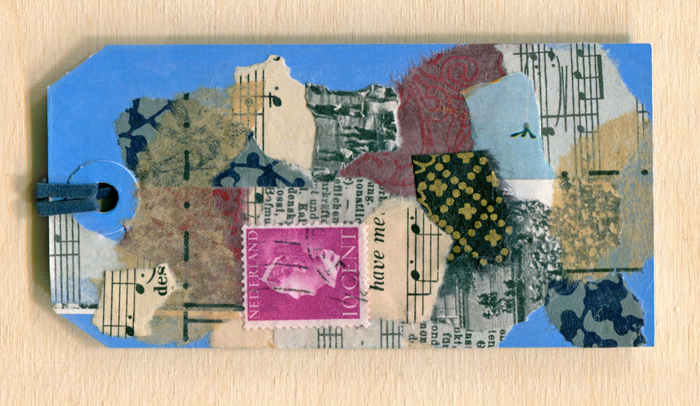 Schinners’ Instagram page has images from her current collage bookmark project, The Dystopian Reader. Learn more also at her Kolaj Magazine Artist Directory page and at www.rosieschinners.ca.